The mission of Hearts to Homes is to assist newly independent young adults who have just aged out of foster care. This assistance alleviates some of the stress during the initial transition by providing the essentials to furnish a new home. Many of these young adults leave foster care with few possessions and no family to help them make this transition. By helping to create a more comfortable living environment, we are able to positively impact the negative statistics of instability, homelessness, incarceration and multi-generational foster care that affect this demographic. Hearts to Homes complements other programs already in existence for foster youth, including job training, mentoring and financial literacy. Hearts to Homes Furnishings, Inc. is a New York-based 501(c)(3) charitable organization. 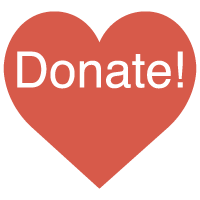 Donations to Hearts to Homes are tax deductible to the extent allowed by law. 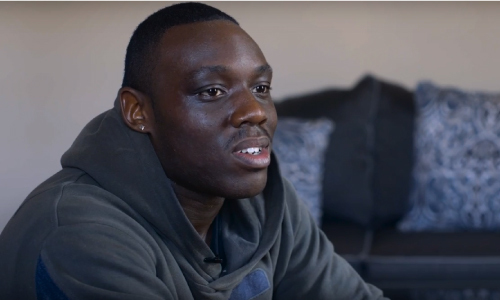 Roughly 1,200 young adults age out of foster care in the New York City area each year, with somewhere between 900 and 1,000 moving into independent living. Generally, these young adults are 18 to 21 years of age. 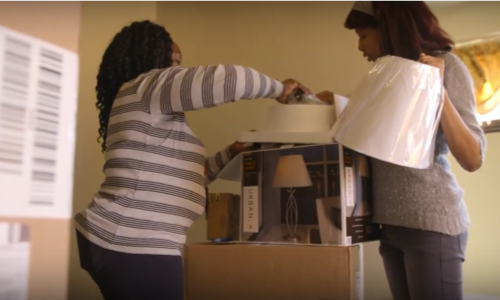 For a young adult who is aging out of foster care, a first apartment is expensive and requires a great deal of effort to put together. Both can be roadblocks for a successful transition and a productive life. Governmental agencies do provide some funds to assist in the aging out/first apartment process. Those funds provide for first month’s rent, rental security deposits and utilities deposits. What remains, after those payments, might be enough for the young adult to purchase a bed and a dresser, leaving the rest of the apartment empty. With no cooking or cleaning items, nutrition and health can be compromised. This leaves a newly independent young adult in a precarious and depressing situation. Many foundations and organizations make funds available to improve the odds of success in a young adult aging out of foster care. Job training, mentoring and financial literacy are examples of additional programming assistance that help to increase these odds. Hearts to Homes believes that it is a necessary and unique complement to these programs. After all, it is hard to be successful at a job without access to the items that help you to be presentable on the job – items like an iron and ironing board, a hair dryer or a shower curtain! 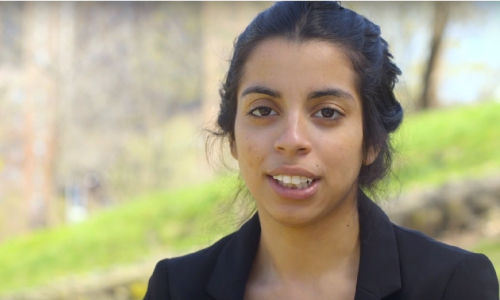 Hearts to Homes does not take applications for assistance from individual young adults, but instead partners with some of the finest child welfare agencies in New York City and Westchester County in order to assist young adults who are aging out of their programs. Our partner agencies provide programs that ensure that each young adult is prepared for independence. The benefits provided by Hearts to Homes complement these existing support programs. Together, we improve the odds of a successful transition from foster care to independence. $100 will buy everything needed for the bathroom – shower curtain, 2 sets of towels, bath mat, etc. $1,100 buys everything needed for a living room – sofa, chair, coffee tables, lamp, etc. Our volunteers continually source items on the Wish List to ensure that quality items are provided to our young adults at the lowest possible cost. The retail value of a complete furnishing of an apartment is approximately $3,100. Thanks to discounts from our preferred vendors, we are able to provide these furnishings at a cost of approximately $2,700. Please consider sharing our mission, and our current campaigns, with your friends. It takes just a moment to help change a life. Hearts to Homes is listed on GuideStar. Hearts to Homes does not, by policy or practice, discriminate against a person or group on the basis of race, color, religion, gender, sexual orientation, national origin, age, disability, gender identity and expression, marital or military status, or based on any individual’s status in any group or class protected by applicable federal, state or local law.